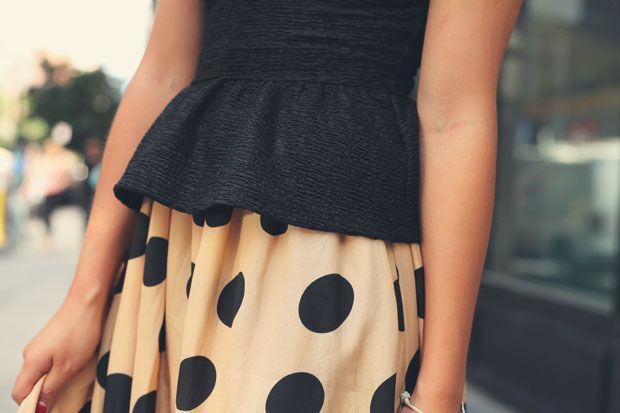 I'm blogging over at Flock Together today, styling up Ashley's polka dotted skirt! I keep finding myself pinning your outfits! I am obsessed with dots lately. I had the realization that I wore different polka dots to work for the last two days as I was picking out my dotted flats for tomorrow... I think I might need to mix it up! I love the other ways it's been styled but it just looks so classic with your top.